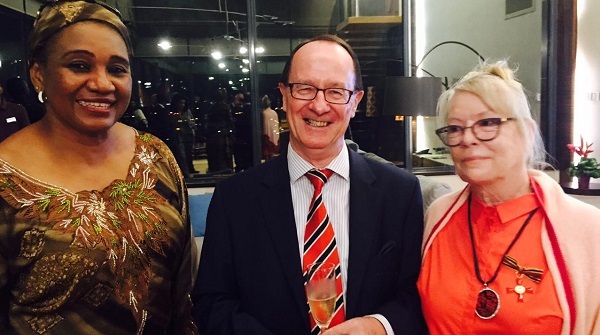 Ambassador of the European Union to Congo Raul Mateus Paula, German Ambassador Klaus Peter Schick and Mrs Sabine Plattner. Leadership for Conservation in Africa co-founder and board member Mrs Sabine Plattner was last week awarded the highest tribute the Federal Republic of Germany can pay to individuals for services to the nation for her conservation efforts in the Republic of the Congo. Since 2007 Mrs Plattner has been actively involved in conservation projects in Congo, most notably various projects around the protection, community, educational and eco-tourism development in and around Odzala Kokoua and Nouabalé Ndoki National Parks. 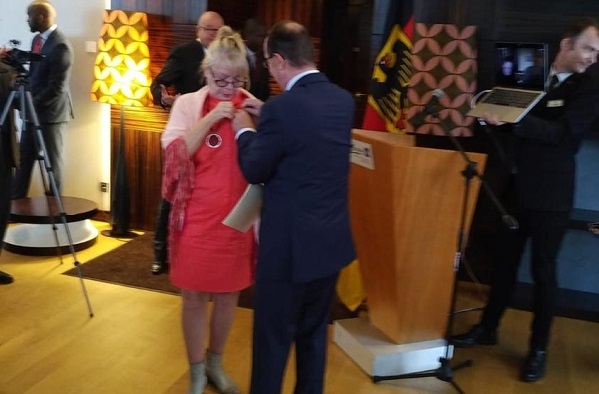 In a prestigious ceremony at the Radisson in Brazzaville, Mrs Plattner was awarded the ribbon of the Order of Merit of the Federal Republic of Germany by ambassador Klaus Peter Schick, on behalf of the President of Germany, Frank Walter Steinmeier. “With this decoration, the German President pays tribute to a great lady, a modest woman, who does not like to hear much about her good deeds publicly,” Schick said. 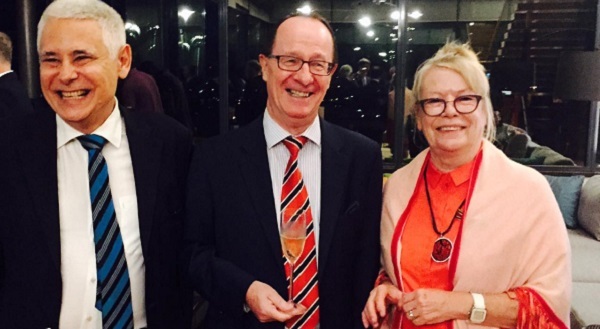 Mrs Plattner is awarded the ribbon of the Order of Merit of the Federal Republic of Germany by ambassador Klaus Peter Schick. Mrs Plattner’s merit recognition ceremony was attended by Ministers Arlette Soudan-Nonault of Tourism and Environment and Rosalie Matondo of the Forest Economy and Sustainable Development. In a beautiful show of support and care, Mrs Plattner’s two daughters, Steffi and Tina dialled in via Skype from Germany and Cape Town and was able to witness their mother receive this esteemed award for her dedication to conservation. “I know that I cannot change the world – neither would businesses on its own, nor would politicians fighting for their own term of office. I have come to the conclusion that we, the ones who visionary see into the future (whether we are conservationists, educationalists, business people or politicians) – we who understand the value of long-term interventions, we have to stand together and bring about the change. Don’t rely on others to do it, simply take the responsibility upon yourself and like Mahatma Ghandi said. ‘Be the change you wish to see in the future’,” Mrs Plattner said upon receiving the award. Minister of Forestry Economy Rep of Congo H.E Minister Matondo, German Ambassador Klaus Peter Schick and Mrs Sabine Plattner at the merit recognition ceremony in Brazzaville. Since 2007, Mrs Plattner has been actively involved in the protection of tropical forests, as president of Sabine-Plattner African Charities and owner of Congo Conservation Company. Her footprint has gradually spread not only in the Congo but also in the Congo Basin, where she has carried out several actions, in particular the financing in 2008 of the first feasibility studies of tourism for the Odzala Kokoua park, and the LCA in Congo, resulting in the founding of Odzala Kokoua and Nouabalé Ndoki foundations, functioning as public-private partners. In collaboration with the Congolese Ministry of Education she has also launched an early childhood development programme called Sanza Mobimba in the surrounding communities of Odzala. This programme serves as a preparatory phase for children before they enter primary school.